Naturalization is the process of becoming a United States citizen through application to the Immigration and Naturalization Service. An immigrant is a permanent resident alien of the United States. Such individuals are issued what is commonly referred to as a "green card". Permanent residence is available through family sponsored immigration. Immigrants have most rights of U.S. citizens, but may not vote in any U.S. election. Permanent resident status is to be distinguished from non-immigrant visa status, which permits the holder to enter the United States, but not to stay permanently. 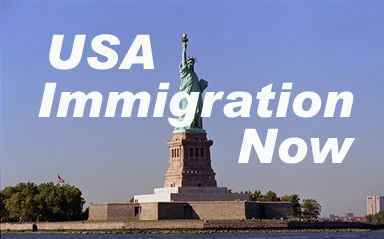 A non-immigrant may remain in the United States only for a fixed period and must then depart. Nonimmigrants generally hold nonimmigrant visas when they arrive in the U.S. They are usually issued I-94 Arrival Departure Cards to evidence their status. The essential element of a business visitor visa is that the alien's salary must be paid by the foreign company, not a United States company. These visas continue to be issued under the "Visa Waiver Pilot Program" first established in 1986. Generally available only to nationals of countries that have the requisite treaty with the United States. These visas are intended to promote international trade by allowing travel into the United States by persons who are investing in the United States or are "trading" here. Available to aliens for specialty occupations, such as nurses, accountants, engineers, architects, etc. The H-1 visa is relatively easy for an alien such as an accountant or engineer to obtain because the statute defines these fields as qualifying professions. Other fields are more difficult to qualify and require a good showing as to how the alien is considered to be in a specialty occupation. Note that annual quotas apply for this category of visa. Typically available to managers, executives or those with specialized knowledge. For aliens who, in the three-year period preceding the time of his or her application for admission to the United States, has been employed continuously for one year by a firm, corporation or legal entity or affiliate or subsidiary and who seeks to enter the U.S. in order to continue to render his or her services to the same employer or a subsidiary or affiliate thereof. Available to aliens with extraordinary ability in the arts (including entertainment), sciences, education, business and athletics. Appropriate where ability is demonstrated by acclaim or achievement. This visa permits admission of support staff and those critical to performance by the O visa holder. This visa is generally limited to performance of a specific event or events. THE ABOVE INFORMATION IS FOR GENERAL PURPOSES ONLY AND IS NOT INTENDED TO BE LEGAL ADVICE. FOR INFORMATION RELATED TO YOUR PARTICULAR AREA OF INTEREST, PLEASE CONTACT LAW OFFICES OF JAMES DREW LAWSON TO SCHEDULE AN APPOINTMENT. Copyright © 2009 Law Offices of James Drew Lawson. All rights reserved.